Contagious (2013) examines what makes a product, idea or behavior more likely to be shared among many people. 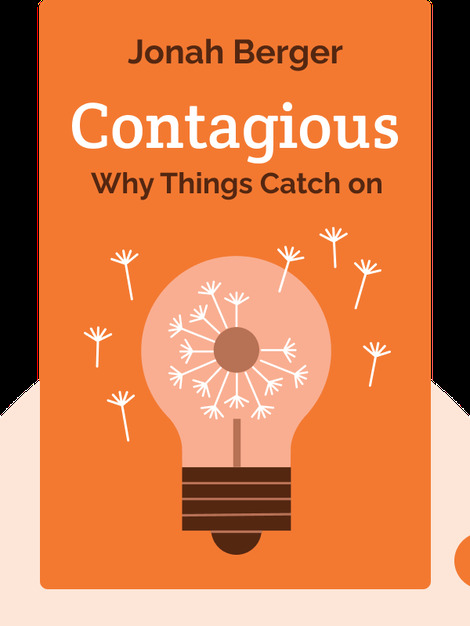 The book explores the question of whether contagious things are accidents or the results of good marketing, or whether contagiousness is an inherent feature of a product, idea or behavior. It argues that, far from being merely a matter of luck, the majority of very popular products and ideas are the result of a combination of savvy planning and execution. 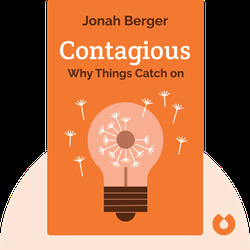 Jonah Berger’s work specializes in social influence and virality – or why certain products and ideas catch on. He lives in Philadelphia, Pennsylvania, where he is Associate Professor of Marketing at the University of Pennsylvania’s Wharton School.